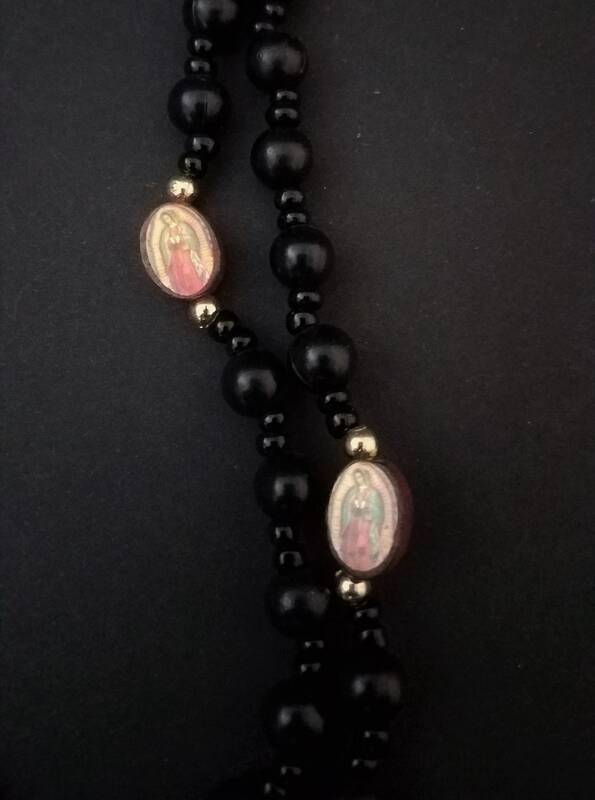 This is a lovely rosary with two different size black glass beads and gold findings and spacers. 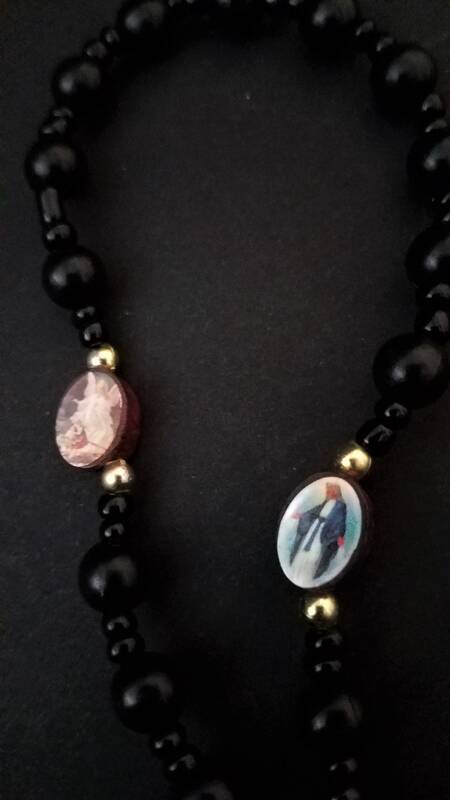 It has 3 wooden beads with Mary on both sides in red/blue, 2 different wood beads with Mary in blue and then a wooden bead with an angel. 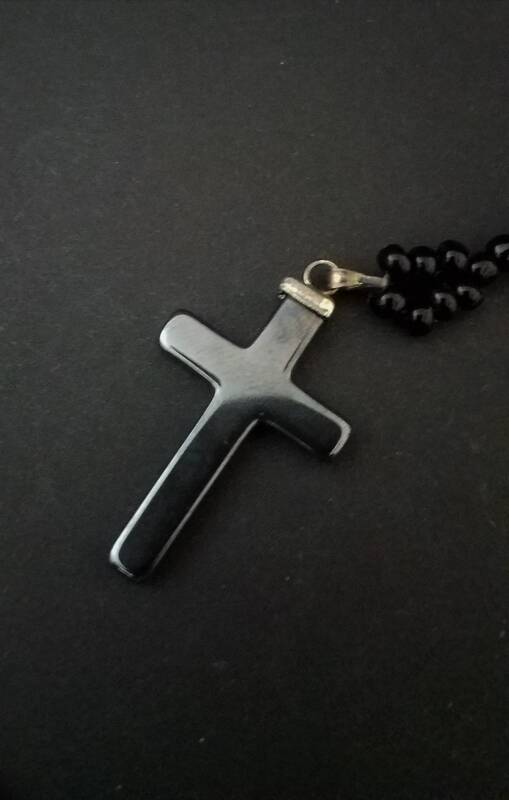 The cross is made of hematite and is 1 1/2" long. 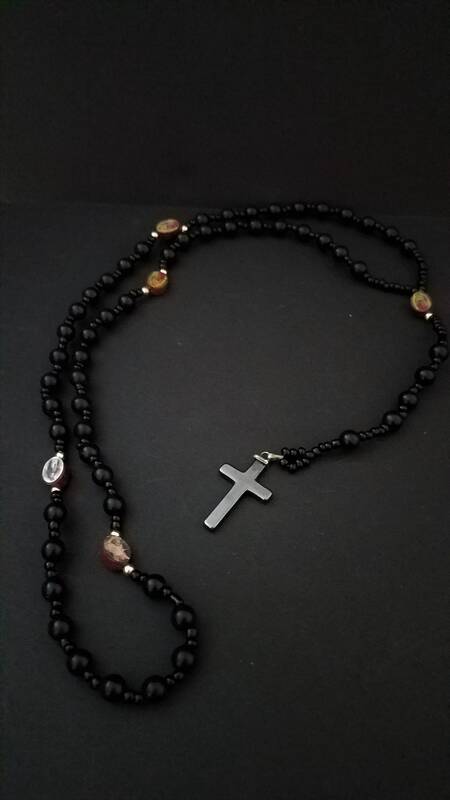 It is 21" long from bottom of cross to the top of the rosary. It is in very good condition, it looks like it is from the 40s or 50s based upon the style of finding on the cross.